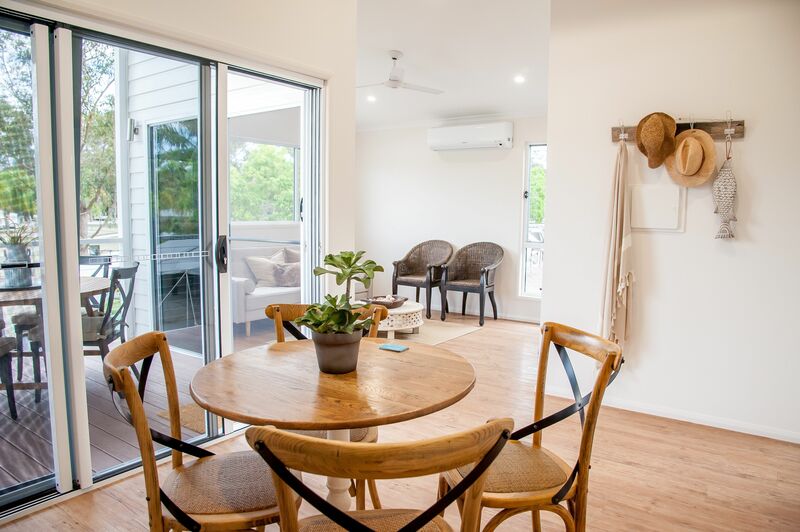 Devon 1 is a two-bedroom premium relocatable home with an extraordinary feature – verandahs for relaxing out the front and back! The front verandah adjoins the spacious living/dining area, and the back one is at the end of the central hallway. A dramatic raked ceiling extends from the living/dining area to the well-appointed kitchen, which has a double sink and benchspace against a 1.2-metre wall. The master bedroom includes a large walk-in wardobe, and the second bedroom has built-ins. There’s a full-size bathroom with toilet, a separate second toilet, and a laundry with linen closet and side doorway. 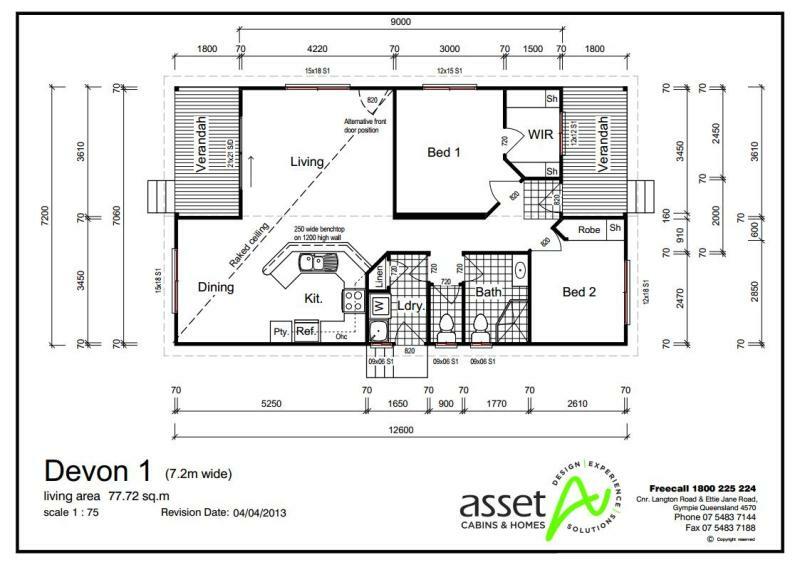 For a version of this home with a larger living/dining area and single verandah, see 512 Devon 2.